Paris is where fashion is at. Not only is it the fashion capital of the world but it’s also the place where fashion is taken the most seriously. 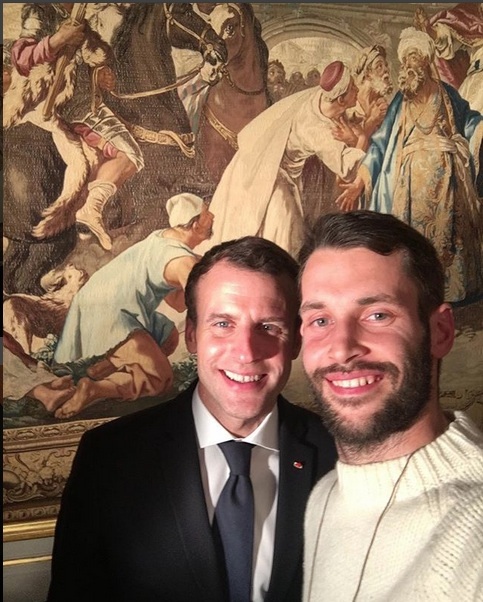 The French don’t play when it comes to chic, even President Emmanuel Macron is involved (he organised a little soiree honouring all participating Paris Fashion Week designers on March 5th, and offered them the ultimate presidential gift: a selfie with him). 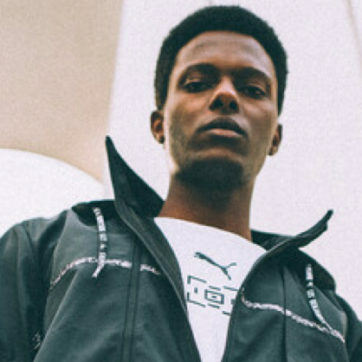 Paris, as always, was filled with circus-like shows, events, presentations – some exciting and some boring, but in the age of the internet we know you’ve probably already watched the shows unfold on Instagram. So instead we’ve curated a breakdown of our favourite looks, moments and shows from the season. 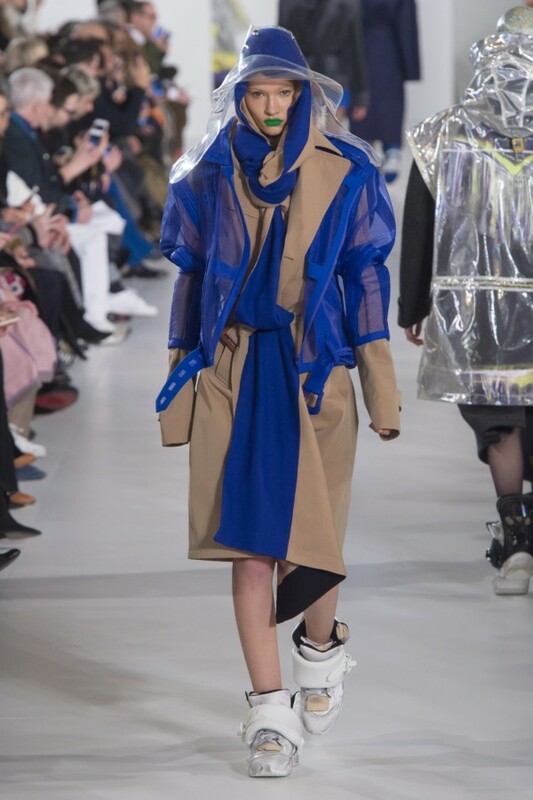 John Galliano allied wearability and tech in his latest collection, making that now-viral trench coat light up with camera flashes, a must-have negligé slash parka coat and a super chic electric blue and camel trench coat. Overall the most creative and innovative outerwear collection of the whole fashion month. 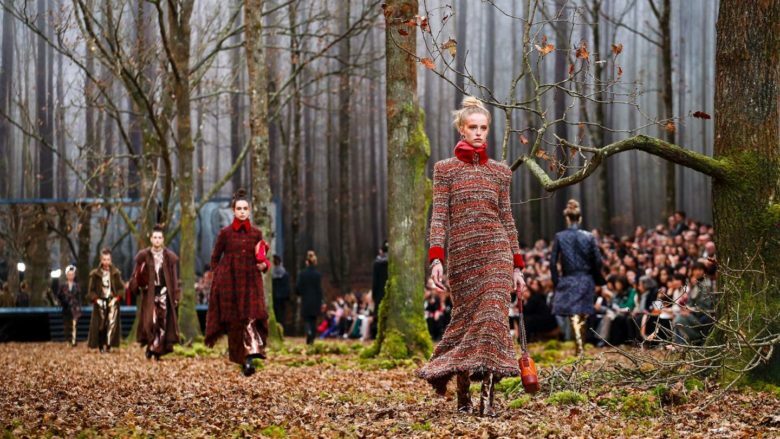 We applaud the return of Galliano to the top. Chitose Abe is the master of hybridization clothing and this season she really let her creative genius take her to new levels. Think sweaters-meet-cape-parkas and half and half trench coats. It certainly paid off. 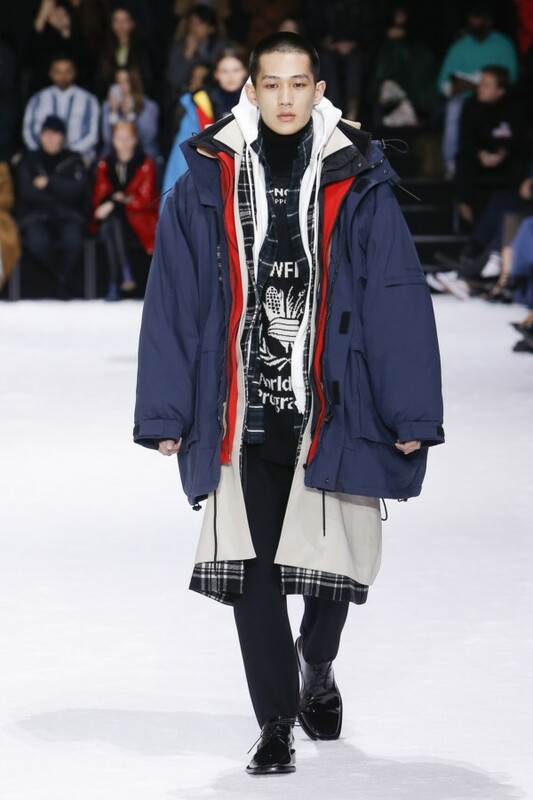 Not only is it very now (as seen at Margiela and Balenciaga) but most of all she can claim that she was one of the first to do these (something she no doubt picked up as a protégée of Rei Kawabuko for eight years). Hate it or love it but Demna Gvasalia knows what his clients want. His Friends Joey Tribiani-inspired quadruple layered coat made us want to layer all of our clothes and call it a (fashionable) day. On top of his great knack for styling he also offered perfectly tailored jackets with a hint to Cristobal Balenciaga’s mastery of volumes. What I personally love about this collection is that the key pieces can look good on women and men of all sizes. 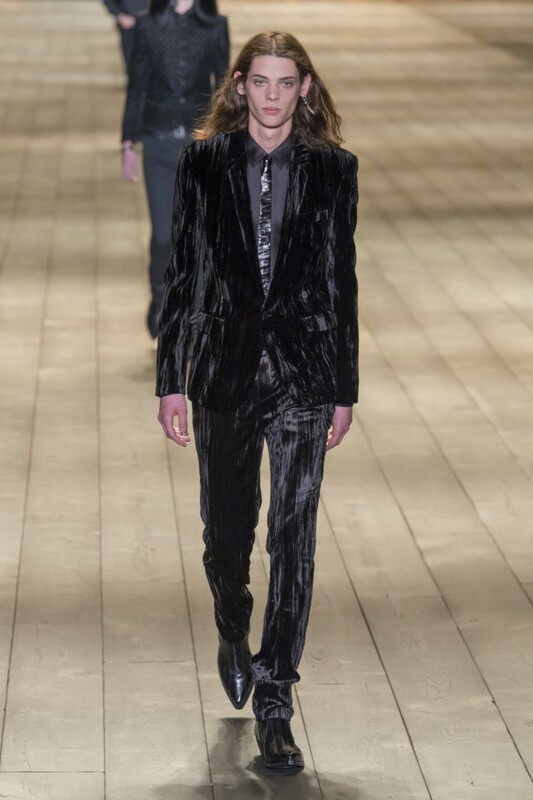 Anthony Vaccarello delivered a great balance between his own fashion vocabulary and Mr Yves Saint Laurent’s. This collection showcased powerful statement pieces such as the Moroccan-inspired embroidered jackets and tops for men and women. 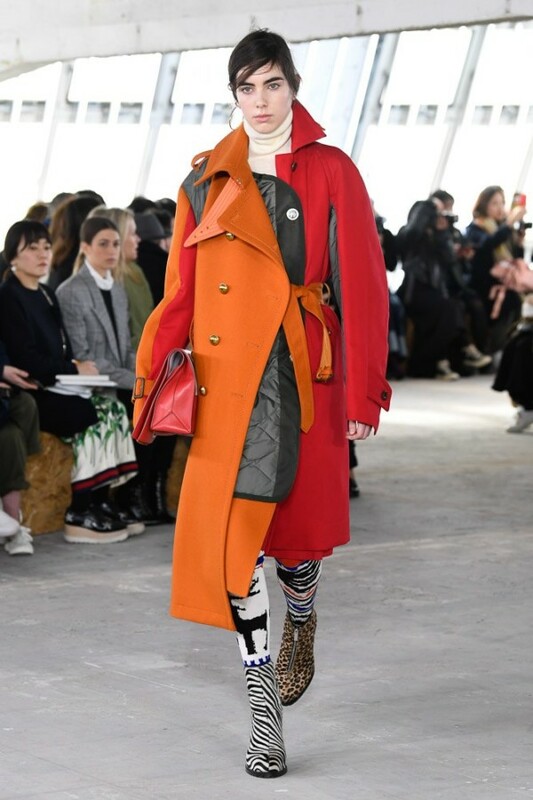 Miuccia Prada’s homage to 80’s subcultures was a refreshing end to fashion month. 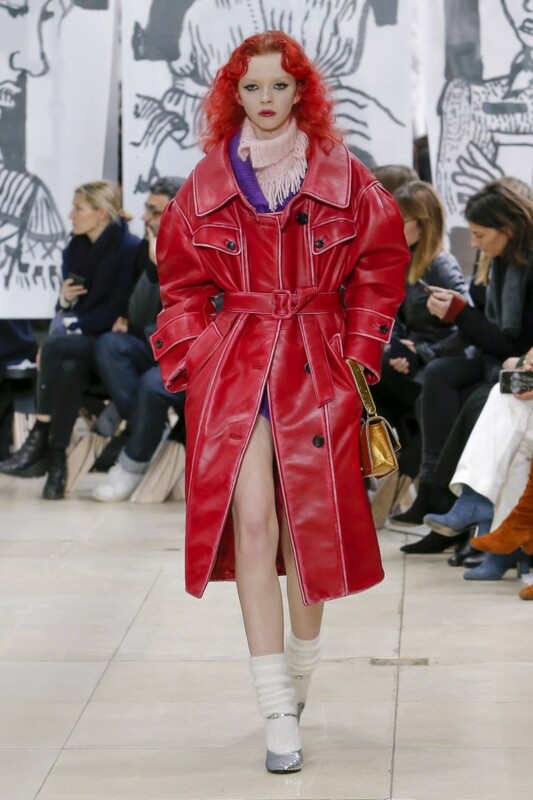 Her woman was strong, unapologetic, and defiant just like Elle Fanning who opened the show and Slick Woods, Edie Campbell, Adwoa Aboah, Georgia Jagger, and Lily McMenamy who also walked the show in front of Marc Jacobs and Gwendoline Christie. To be honest, 8 times out of 10 the answer will be Chanel. The French brand is renowned for their incredible fashion show productions (think real icebergs, spaceships, life-size Eiffel tower, a real supermarket and more Hollywood-worthy set-ups). This year they plucked a real forest from the region of Le Perche and plonked it in the centre of the Grand Palais. The whole place smelled like a rainy Tuesday morning in the countryside and it was just fabulous. It’s important to note here that the trees, albeit real, had already fallen and no tree was harmed during this meticulous project. More brownie points for Chanel here. While fashion month is full of extravagant star-studded parties, the best parties in town are undeniably the private ones. This year the award goes to superstar agent and MILLE board member Saif Mahdhi who gathered his #friendsandfamily around a dinner curated by Pharrell’s favourite chef Jean Imbert. The intimate soirée gathered an impressive list of fashion’s most important players such as entrepreneurs and muses Caroline de Maigret and Alexa Chung and models Anja Rubik, Blanca Padilla, Tarik Lakehal, Ali Latif, and Azza Slimene. Saint Laurent’s Head of Communication Philippe Contini, and Art and Commerce President Philippe Brutus talked business while creative directors and editors such as Chaos’ Charlotte Stockdale, Katie Lyall, Dazed and Confused co-founder Jefferson Hack, US Vogue’s Mark Holgate, Purple Magazine’s Olivier Zahm, Self-Service’s Ezra Petronio and Vogue Spain’s Juan Cebrian tasted the best ceviche in town. Photographers Mario Sorrenti and Nico Bustos and new culinary sensation Jon Gray, founder of Ghetto Gastro as well as actress Hiba Abouk, and Niuku’s Lenny Guerrier were also in attendance and danced to the tune of up-and-coming Polish hit maker Mary Komasa with Les Inrocks’ Camille Hutin and Balmain Hair’s Nabil Harlow. 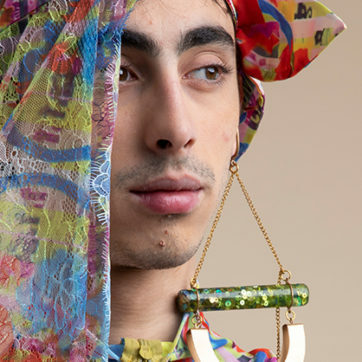 My heart went to Nafsika Skourti’s up and coming collection. Titled “The Lowest Place on Earth” as per The Dead Sea’s slogan, the designer utilised kitsch post cards from her native homeland of Jordan and the city of Jerusalem to convey the spirit of nostalgia and rebellion of the region. 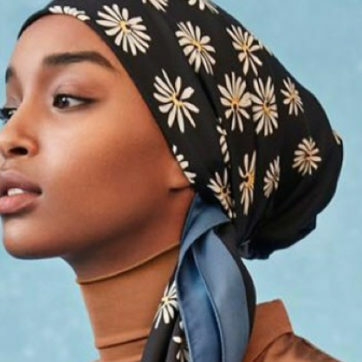 Her offering is fresh, daring and imbues a hint of 90s pop and a new take on streetwear as well as cheeky evening wear that marks a big step forward for her namesake brand. Wear layers and layers of clothes. Bank on brands that have a real sociological message. Chefs are the new it-boys and it-girls.